Even though it offers an abundance of outdoor attractions, the Flathead Valley is not just a paradise for nature lovers. Glacier Country is home to a variety of creative and cultural activity as well, particularly in communities like Bigfork and Kalispell. 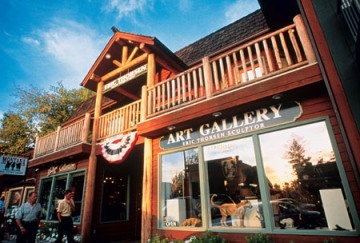 There are a wide variety of galleries, such as the Thorsen Gallery in Bigfork, pictured at left. There are a variety of other outlets throughout the Valley to view and buy artists' work, and other cultural highlights include Conrad Mansion, St Ignatius Mission, and the Museum of the Plains Indians.